I like to to join the upcoming Christmas holidays wishes and the thanks to God and to you. Yet the Angels in their mysterious announcement are telling to go and see the One who has been given as Saviour for us. Salvation lies in the fact that He is Emmanuel, "God with us", … and now who or what can separate us from God? Our insecurities and anxieties need to be addressed by accepting the Emmanuel, our fears deleted by "going and seeing" and believing that He is the Life that no one can take away, our angers, resentments, claims won with the dedication of 'Christian Love ... doing so we bring the Emmanuel in the world. Fr. 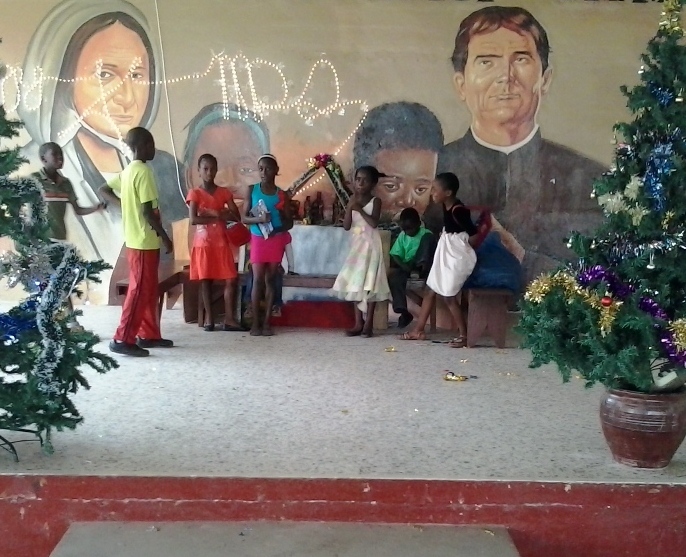 Nicholas, the Salesians in Matadi Monrovia, the many boys, girls, children of the mission.